It may seem like summer is only just over, but it’s never too early to get excited about the next ski season, and most of us have been counting the days until the runs are snow-covered again, the lifts are turning and we can hit the slopes! The good news is that there are already a dozen or so glacier ski areas open in the Alps, so if you’ve got a weekend free this autumn, why wait? Lots of them will be running season-start festivals with new gear testing so you can get a jump on the rest of us. For those of us planning a holiday in the main season from December to April, though, here’s a quick overview of how winter 2018/19 is shaping up. In terms of big events in the mountains, all the big music festivals are back, and we’ll be running a planner for them all shortly. 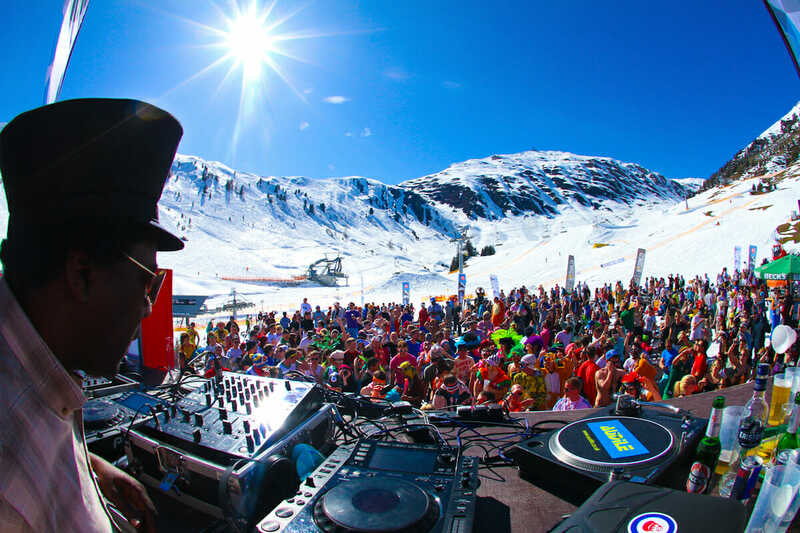 Perhaps the biggest news is that Snowbombing, the biggest of them all, will be celebrating its 20th anniversary when it returns to Mayrhofen in April. After South Korea earlier this year there are no more Winter Olympics until Beijing in 2022, but the biannual World Alpine Ski Championships, the second biggest event after the Olympics, is back for 2019, this time taking place in Åre, Sweden, from 5–17 February. The other big event of note is the World Cup Finals when the male and female World Cup tours come together to thrash out the final results and crown the greatest achievers. In 2019 that event is set for Grandvalira in Andorra and will take place a month later from 13–17 March 2019. We hate to mention it as the very word tends to evoke a nervous twitch in many of us, but you may wish to factor into your thinking the fact that Brexit Day, and the uncertainties it brings to international travel and the rights of British resort staff in the Alps, will happen at the end of March, just before the Easter holidays. How Do The Usual Key Winter Dates Look in 2018/19? A year ago we were reporting that there were bargains to be had at Christmas as bookings then were very slow after the preceding three winters had brought little snow cover at the start of the season. The start of last winter, however, was very snowy indeed, tour operators are reporting a surge in bookings for Christmas week, with prices going up, of course. For some it is a sell-out, the most popular week of the season, although for most this is February half-term week when prices are often four or five times higher than the preceding week as parents are forced to choose that one week only, and with many other European nations sharing the same week it makes demand for space intense. 2019 looks a little different to other years. The good news is that Christmas and New Year’s Day fall on Tuesday, so even with the conventional Saturday or Sunday change-over you can be in resort before festivities commence then have four or five days to recover afterwards before having to brave the flight home. Easter on the other hand is very late in 2019 – towards the end of its possible date range in March–April, meaning that the Easter holidays, even with Easter Sunday itself at the end for many, won’t start until well into April for most. So the usual advice to aim for a snow-sure resort if you’re travelling this late in the season is more important than ever. 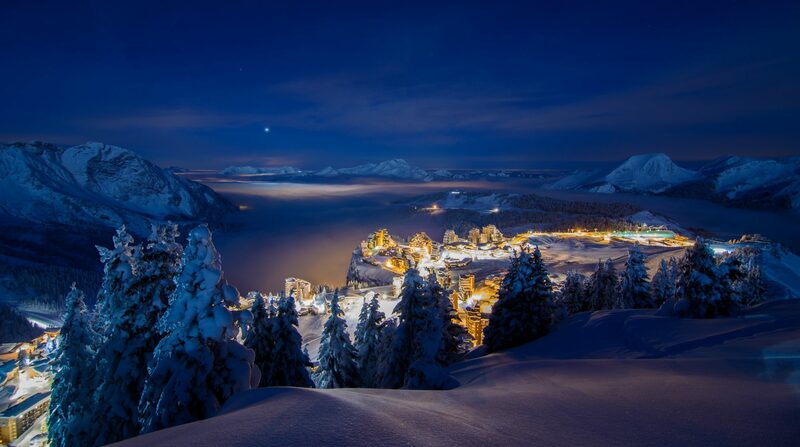 Ski Independence, one of the largest independent ski holiday companies covering more than 60 ski resorts in Europe, North America and Japan, say they had a 10% jump in business last winter and they noted several booking trends they’ve witnessed recently. They say that there’s an increase in demand for hotel accommodation (as compared to self-catering), a continuing increase in demand for properties in high-altitude resorts – particularly Val Thorens and Val d’Isère – and that the average length of stay has continued to decrease as more clients look for short breaks. However, average spend has risen. There are more regional departures using low-cost flights to choose from, so we don’t need to travel through London as much as we did. easyJet have announced a new service from Bristol to the Swedish airport serving Åre in Sweden this winter, for example, two years after it first introduced a route there from the UK out of Gatwick. So, to sum up, we’re spending more to fly from a local airport to a higher-calibre accommodation in higher-altitude ski resorts and staying for less time.